This is pretty amazing, especially when you look at the graph below. 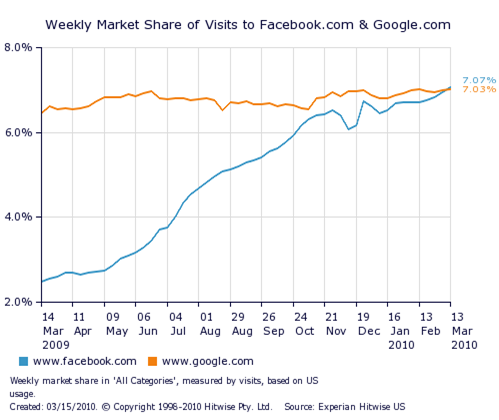 There are a lot of articles on this recent bit of news, here is an article from Fortune (March 17, 2010) “How Facebook overtook Google to be the top spot on the Internet.” Where are we headed? Interesting example to use when discussing competition, the Internet, or social media. Note – this is only in the United States.